All you have to do in order to appreciate this is pick up a copy of Hello! Magazine and read up on what’s happening with our European royals, in particular with the Spanish monarchy. In case you haven’t been keeping up with some of their latest news, let me bring you up to speed on how they’re doing. King Juan Carlos is still trying to improve his public image after a scandal last year which involved hunting elephants in Botswana with his alleged lover, Princess Corinna. 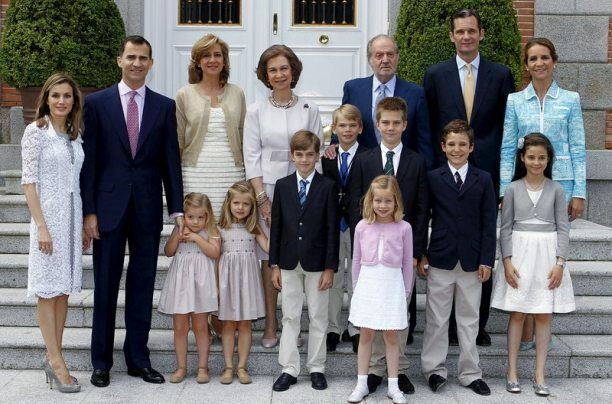 It has recently been revealed that she and her daughters have been living in a palace in Madrid, supposedly paid for by the King (whose expenses are funded by the Spanish people). The King’s son-in-law, Iñaki Urdangarín, is waiting to be tried for embezzlement and is now persona non grata at family and official events. And these are just the stories which have been confirmed and not killed. The thing is that when King Juan Carlos came to power after Franco’s dictatorship, an agreement was made with the media according to which no damaging information would be published about any member of his family so as to help ensure the stability of the new democracy. However, almost 40 years later, people and the media seem to be tired of this. In a context of a severe economic crisis which has affected practically everyone in Spain, people are not happy with the fact that their taxes are funding the royals’ medieval lifestyles. Undoubtedly, the Spanish Royal Family must have a great PR team. They convinced King Juan Carlos to apologize for his behaviour for the first time ever (although his team wasn’t able to stop the WWF from revoking his status as honorary president) and they have done quite a bit of damage control regarding all of the issues involving its members. However, the fact remains that the only information that reached the Spanish public is that which is officially issued by the King’s Palace, as is the case with most European royals. In a time when the public is becoming increasingly critical and demanding, what I wonder is whether it wouldn’t be advisable for royal PR teams to take note of what is now considered to be best practice in PR and become a little more open with the public. Much like corporations, in the face of crises it might do monarchies good to be as honest and humble as possible and act in a socially responsible manner. The truth is that monarchies should strive to keep up with the times. As many theorists say with regard to the systems model, not doing so could mean the end of an organization, no matter how old or well established it might be. The public wants transparency and wants to feel proud of the institutions it supports… including its kings and queens. This entry was posted in Crisis management, Grunig, PR Theories, Professionalism, Propaganda, Reputation, Reputation Management, Royal PR and tagged Crisis management, one-way asymmetrical model, Reputation, Royals, Spain, two-way asmmetrical model by Luisa Garcia. Bookmark the permalink.